Wellbeing. The complex interaction of our emotional, physical and mental states; encompassing our thoughts, behaviours and physiology. Integrating our minds and bodies, Wellbeing plays a vital role in our health, happiness and productivity. Improved wellbeing is associated with a myriad of benefits; from lowering stress, to reducing risk of stress, and promoting positive relationships with others. Total wellbeing across all sectors of life is essential for wellbeing in the workplace, and in an ideal environment, individuals possess the skills to effectively manage their everyday lives and make positive contributions within the workplace, however, we know this is not the case. It’s no secret that the demanding modern lifestyle, centred around doing more, has created competition and raised expectations within the workplace. We are working harder than ever to keep up with quickly changing work demands, and corporations are fighting hard to remain competitive in their field. The corporate world is no longer the traditional nine-to-five job. With global markets, technology and social media, there is now a demand for us to operate 24/7. Modern technology has changed the rules of the workplace, our ‘smart devices’ make us eternally available, and mentally overstimulated. Our inability to switch off increases stress levels, effects sleep, energy levels, and leads to decreased productivity, and when sustained over a long period, can have a devastating impact on our wellbeing. Stress-related conditions such as depression, anxiety, and insomnia rank as the most common reasons for employee absence from work. In fact, stress contributes to an increased amount of days off, as well as a reduction in productivity, creating an economic burden on both the employer and the employee, increasing the risk of mental health disorders, placing mental strain on the individual affected, whilst affecting workplace relationships. Not recovering from occupationally induced fatigue can contribute to, and exacerbate stress-related illnesses and potentially result in burnout syndrome. One way of addressing this is through implementing a regular practice that increases mindfulness, the process of focusing one’s attention on the present moment. Mindfulness-based interventions are amongst the most effective methods in reducing stress, and are strongly correlated with greater wellbeing and perceived health. An effective mindfulness practice creates happier, healthier environments that foster innovation, creativity and success. However, facilitating lifelong strategies to achieve a harmonious state of mind takes practice and demands discipline, without immediate effects. Floatation, famous for inducing profound relaxation, provides an environment that has the potential for developing mindfulness. 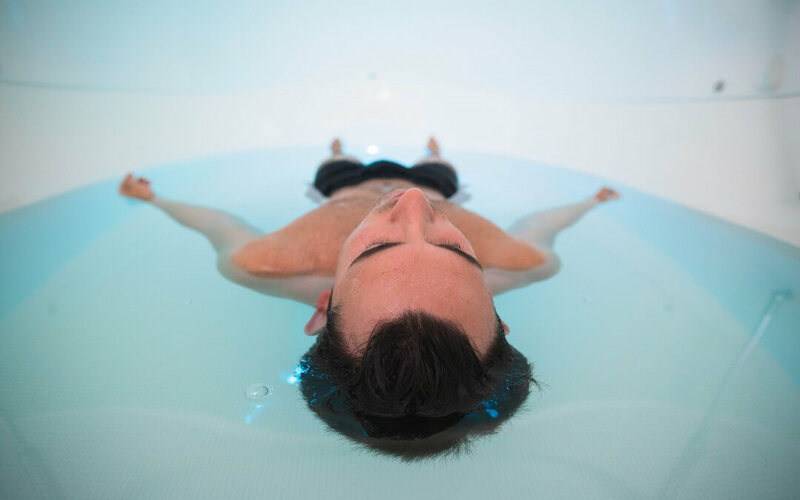 The float tank is a valuable tool that can be used for increasing levels of mindfulness beyond those developed in a normal sensory environment, by making it easier to process thoughts and emotions, and focus on self-reflection and individual growth. The float experience is a personal journey that starts with spending time with yourself. A regular float practice equips individuals with the ability to optimise their performance at work, and achieve their full potential by successfully eliminating accumulated stress and fatigue, restoring energy, creating focus, while promoting positive transformation. A space away from sensory overload allows individuals to heal and recover both physically and mentally, restoring the balance between work and rest. Each float session is a new opportunity to enter new realms of consciousness and train your mind for a happier, healthier life.